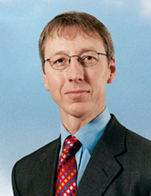 Ian Webber has been the Chief Executive Officer of Global Ship Lease, Inc., a New York listed containership lessor, since its formation in 2007. Global Ship Lease currently owns 19 vessels with a total capacity of 85,136 TEU and an average age, weighted by TEU capacity, at July 1, 2018 of 13.5 years. All 19 vessels are currently fixed on time charters, 17 of which are with CMA CGM and two to OOCL. The average remaining term of the charters at July 1, 2018 was 2.4 years or 2.7 years on a weighted basis.